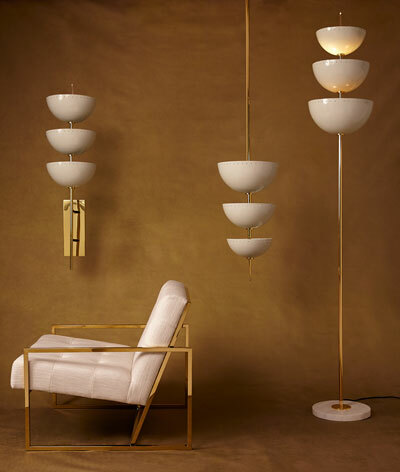 Ambient lighting plays an important role in enhancing the aesthetics of any space. 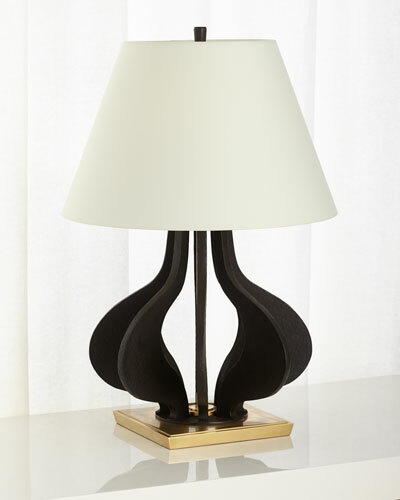 Browse Neiman Marcus’ collection of designer light fixtures and get innovative ideas to redecorate your home. 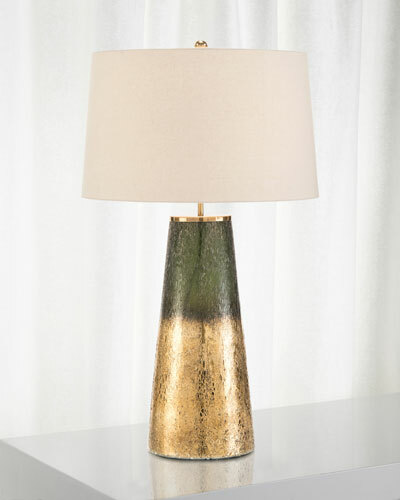 Add a warm glow to your living room with our designer lighting that includes lamps, pendants, scones, and more. 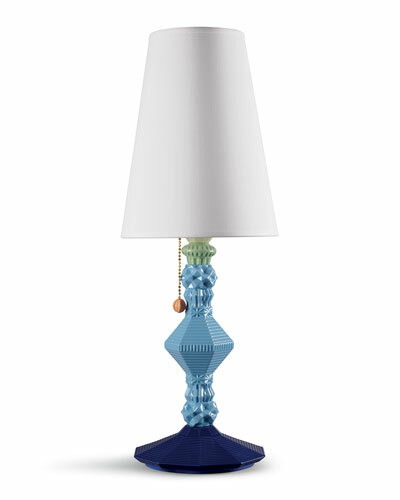 Place one of our designer table lamps near a corner armchair to set up a cozy seating area. 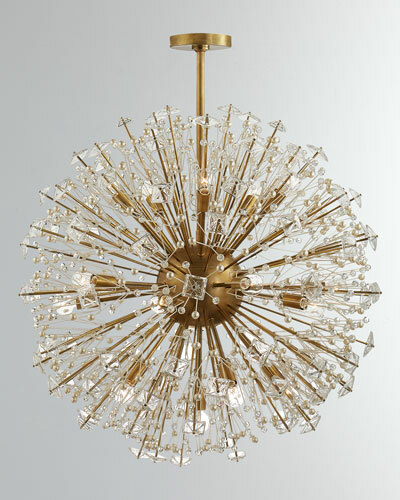 Our chandeliers are perfect to introduce a luxurious touch to your home. 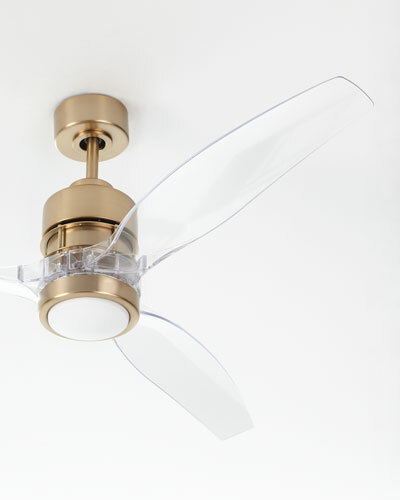 You can also select from our handpicked assortment of flush mount ceiling lights in gold and silver finish. 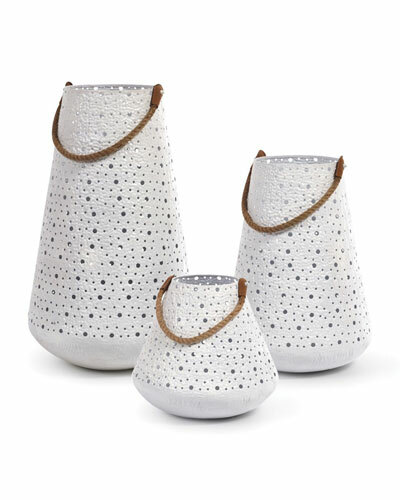 An alternative to conventional light fixtures, our designer pendant lights will brighten up your home. The wall scones in our collection can be great additions to your bedroom or library without taking up much space. 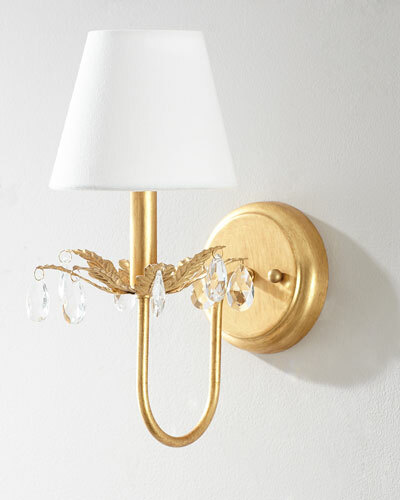 Shop Neiman Marcus for gold lighting fixtures and more in various designs to beautify your space. 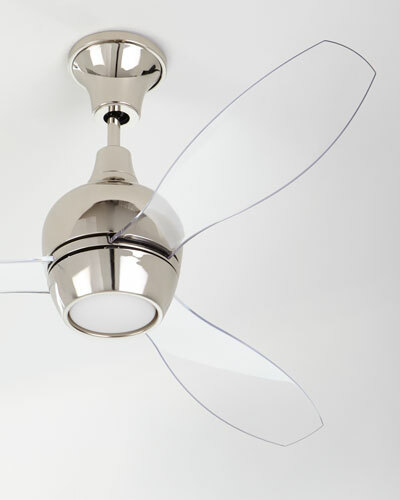 Ceiling fan with three lamp post-style shades accented with faceted crystals. 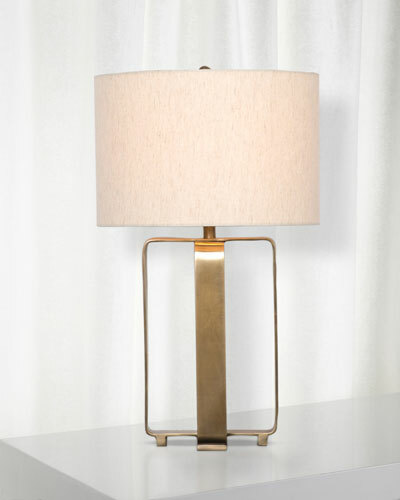 Metal frame in antiqued bronze finish. Four wooden blades.